The Park is a grand thematic narrative adventure, or walking simulator, that blends point and click with the first person, letting you explore the world from a perspective that could be far more personal, interactive and well-suited to the horror motif at play here. The setting is certainly rife with the classic horror elements you’d want. A dark autumn evening while running through a theme park looking for your lost child, who seems to never quite be within reach. It follows the same design as some of the narrative adventures that come before it like Dear Esther, Amnesia: The Dark Descent, TimeFrame and is even reminiscent of the likes of Heavy Rain in exploration, though perhaps not quite in the depth of the narrative. Interaction is simple, though it needs not be too complicated and the focus is on the story, though Unreal Engine 4 is represented fairly well here. Can a walking simulator truly be frightening when walking through The Park? It begins as you’d expect any classic horror movie would, the day over and you and your charge expecting to head home. But wait, your son’s favorite teddy bear seems to still be in the park, and even though the Sun is setting and a thick fog is quickly rolling in, you’d better go retrieve it. Nothing could possibly go wrong in a dark, lonely and empty park. Right? You’re Loraine, a very concerned parent that’s trying to find your son, Callum, who snuck into back into the search for himself despite the warnings to the contrary. The park is Atlantic Island Park and it’s suitably eerie all by itself, with an ambiance that might at first seem slightly similar to The Mist, but there are no weird alien creatures here, only the supernatural instead. The Park starts off well enough. You enter The Park and are transported to an otherwordly representation of it that’s devoid of life and, seemingly, of purpose. But follow Callum’s voice and you’ll soon find out the mysteries of this fearful park. That good start seems to slow down considerably as you begin exploring. Your only options to explore the world around you are to call Callum’s name, of which he’ll spookily call back to help lead you in the right direction, or to occasionally interact with objects and lore items along the way that light up when you get near them. Calling for Callum also slightly distorts the screen in the area where a clue or interactive object might be, so you’ll never stray too far off the path. Those objects are all little tidbits of story, clues that come together to help you understand what’s happening and why the park is haunted, and why your child ran away so readily. You’ll get to walk around the Atlantic Island Park as Loraine tells you about her own past and of the memories she has from this very same park, where Callum’s father was even met. Each ride you get on has subtle spooky moments that are accentuated by flashing lights, appearances of of strange supernatural objects and the obligatory startling sounds, though none of it seems to truly be mystifying in and of itself, but more odd and slightly confusing. The Park is more a short story interactive narrative than anything else, but in this manner it’s executed very well. You’re guided down through an intriguing story that keeps you interested in that narrative alone. The horror mechanics and scaring mechanism isn’t exactly first-rate, but it’s effective in transmitting the story well enough. 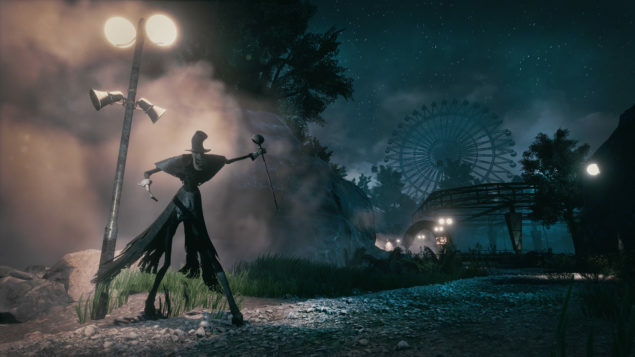 The atmosphere is very convincing, if not necessarily the scariest, and could be a new way to tell stories that’s not quite a full interactive game but that still allows more choice than Tales from the Borderlands. So it’s not a revolutionary jump-scare, frightening or even gory game in the horror genre. But where it does break new ground might surprise you. The attention to detail for the models and the entire ambiance is rather eye-catching and speaks well for the future of Unreal Engine 4 which it’s using. If you’re looking for more than a walking simulator with a first-rate story, then look elsewhere. 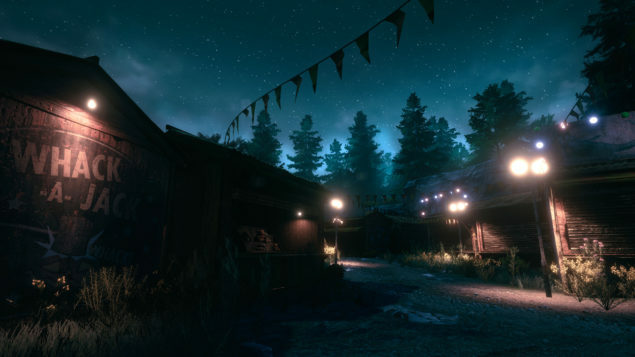 This will engage you in different ways than the typical horror game, and is an excellent game in its own right, but don’t expect it to be more than it is, which it excels at. Oh, and it’s quite short, between 1-2 hours for the average person. It’s two hours that’s full of intrigue and mystery, however.